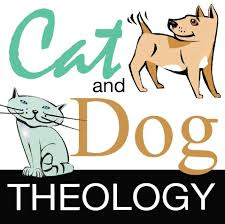 THEOLOGY OF CATS AND DOGS! Let us say that there is a cat and let us say that there is a dog. They are both blessed to be living under the roof of the very same owner. Their Master is the best possible animal lover that God has ever put upon this planet! Both the cat and the dog sleep in specially made and extra comfortable beds. They eat of the prime cut of gourmet pet cuisine. They are both well groomed and pampered at the animal spa. They visit the veterinarian regularly and their health is impeccable. They are nurtured, cherished, held often and loved upon. They are spoken to with kindness and affection. They are treated as if they were pure gold. They are truly spoiled pets. Do you see the difference? I call this Cat Theology and Dog Theology. I would like to hope that when it comes to our relationship with God, we are more dog than cat in our attitude and approach. But too often, the church of Jesus makes it more about themselves than they do about the Lord! That is a feline way of faith that emphasizes selfishness over selflessness. How are you when it comes to the unending blessings that God lavishes upon us? God loves you. Jesus died for you. The Holy Spirit works through you and actually resides within you. God has given you a new heart and made you a new creation. How do you react to all of this? Well if it is a Miss Kitty mindset, you meow and move on almost expecting what should be received as an undeserved gift of grace. After all that the Lord has done for us, our focus should be, “How great is our God, sing with me! Look at all he has done for me and still promises to do for me and with me. God has done this so that I might let everyone know how glorious he is and how I can’t live without him. He is generous, compassionate, kind, patient, merciful and loving to me!” This is the essence of a canine creed. A cat will roam around the home as if it was his own personal domain. A dog never enjoys the house unless the Master is there with him. As a matter of fact, when you come home the cat will expect you to change his litter box! The dog will knock you over as he kisses you with ecstatic joy. Now don’t write me letters about not being a cat lover. I love our cat Jack! He is the absolute best and I love the way he has rid our home of rodents and moles and I always smile at him as he rips the head off of a bird in our yard that he has just successfully stalked. It is just that Jack expects me to do what I do. A dog appreciates whatever bones of blessing that are tossed his direction! How about you? Do you look to God more for the blessings or are you happy because you are involved in a personal love relationship with the Blesser? Do you adore the gifts or are you just grateful that the Giver knows your name and has promised to supply all of your needs? Tangible items are nice and who doesn’t love to get a present? But the greatest act of love ever showed mankind was when Jesus gave himself fully to us! Some of you may say, “I have not seen any blessings of which you speak especially from my place in line at the unemployment office or as I sit in my dumpy apartment. I don’t even have a car and I have to ride the bus and when I looked under my seat, all I got was gum and no goodies from heaven.” The greatest gift that God ever gave to us was all of who he is. God gave us God! Isn’t that amazing? A car is nice, but God is better! Health is OK, but God is better! A spouse is appreciated, but to be in union with God is paramount! God gives us God! Will you give him all of yourself? If you take God at his word that he has blessed you and then you begin to count all the ways that he has bestowed his bountiful benevolence upon you- you are making the kind of noise that will have you barking in sheer delight. But if you are prancing around like you own the universe and act spoiled and demand to be treated like a prima donna- then meows are more your music! God withholds nothing of what we need from those he loves! He wants us to enjoy trinkets, but we should make sure that he stays our treasure! What are the evidences of God’s grace in your world? How has God been gracious to you? Where has God been gracious to you? What has he provided for you? What has he saved you from? More importantly, what has God saved you to become? Dogs have been known to travel hundreds of miles just to be reunited with their owner. If a cat is already preoccupied with something more important to him, he won’t even sashay across the room. God deserves our undivided devotion. I want to be there with him and welcome him and walk with him. Dogs are called man’s best friend and I want to be known as God’s best friend. How about you?